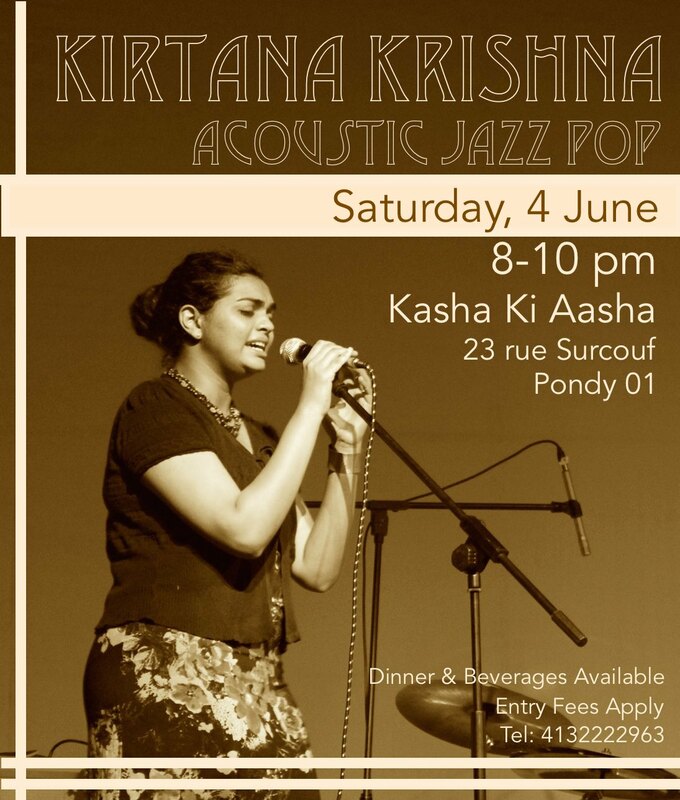 Kasha Ki Aasha continues its live music performances this Saturday evening at 8 pm. KIRTANA KRISHNA is a songwriter, guitar player and the vocalist of Bangalore based jazz duo Bluerhythm. She studied at the Swarnabhoomi Academy of Music, graduating in 2013 as a Vocal Major (Jazz). Since then, she has composed the music and acted in a play titled 0ne/1 as part of a residency in the Adishakti Theatre Company, Pondicherry. Kirtana regularly performs as a part of Bluerhythm, and enjoys throwing out her originals to unsuspecting crowds while going solo. She has also appeared as a guest vocalist for several jazz ensembles. Until recently, she was vocal faculty at Thermal and a Quarter’s music school Taaqademy. She now resides in Pondicherry and continues to teach and perform. ← Let’s shake things up, Pondicherry….